The Episode starts with Muskaan saying I will become strong, I will not break down, I will not leave you. Gayatri comes and sees the idol with Sir ji. She says maybe Ronak has done this, he would have got this here. She sees Muskaan. She asks him to come, this place is not right for them. They go. Gayatri does the aarti. She apologizes to Kajal. Kajal says I will keep this relation completely. Ronak comes to apologize and asks Kajal to go to her home, better than getting hurt. He says I don’t know if you can forgive me, I don’t want you to get more hurt, you can punish me, I will tolerate it, I m the culprit, I have made the mistake, but you shouldn’t stay here. Kajal gets the marriage certificate and shows him. She says I m your wife, this house is mine and I will not leave this house, I have accepted your every relation, happiness and sorrow. He gets shocked. He asks what are you saying, this can’t happen. She asks why, you tried to win my heart, you have won me and my belief, I believe you are my husband, we didn’t take wedding rounds, but we are already married, I m your wife, this is the truth. Gayatri says we can bring this relation in front of the world, you will have a reception at night, you will accept this relation. Ronak refuses for it. He goes. Gayatri says this rasam will happen, you get ready and give me some time. Bua says we are with you, we will make Muskaan out of this house. Muskaan says I won’t come with you. He says Suzaine wants to meet you, come with me. He gets Muskaan to market and makes her meet Suzaine. Hanumant hugs Ronak and says sorry, I didn’t know you will be in trouble. Ronak says its good you forced me to go, my devil dad was hurting Muskaan, that day Muskaan…. Muskaan is with Suzaine and Jaya. Ronak asks Hanumant to be with Muskaan until he comes back. He says drop her home safely. Hanumant agrees. Ronak says I m going to do some preparations. Suzaine and Jaya encourage Muskaan and ask what’s her plan. Sir ji says I have one way, Muskaan, she will bring Ronak to the party and then she will be compelled to leave. Gayatri asks what. Jaya says don’t know how is Sujoy. Muskaan says Sir ji got him killed. They get shocked. Suzaine asks what’s happening, Aarti and Sujoy…. what will happen of Rakhi now, she started walking on the right path now. Muskaan says she was acting, she is with Sir ji also, she kidnapped us and snatched my mum. They get shocked. Muskaan says I have lost my best friend and mum, I m not scared, now I have nothing to lose. She cries. Muskaan says now they will be scared, since they snatched everything from me. Suzaine and Jaya hug her and console. Muskaan comes home and gets shocked seeing Gayatri. She goes to her. Gayatri tries to emotionally blackmail her. Muskaan comes in her words. Gayatri says your sweet talks won’t affect me now, Ronak has done injustice with his wife to do justice with you, Kajal is his wife. Muskaan is shocked. Gayatri says its Ronak’s reception today, he refused to come, if you have some shame left then do a favor on me. Muskaan agrees to her. Ronak argues with Gayatri over his incomplete marriage with Kajal and Muskaan. 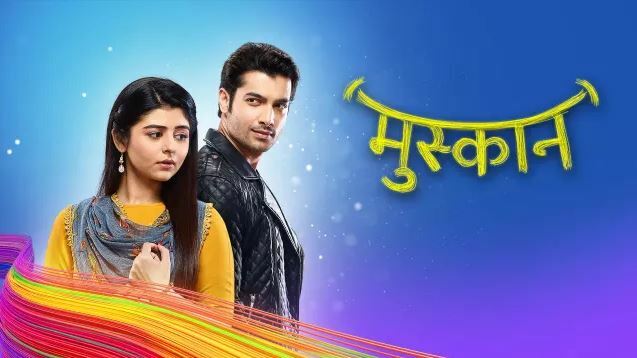 The post Muskaan 23rd February 2019 Written Episode Update: Gayatri requests Muskaan appeared first on Telly Updates.